Middle Schools by definition serve as a ‘bridge’ between elementary and high school, and accommodates grades 5 to 8. By their exclusion, they tend to offer a more specialized approach to education and a different experience to their students. Add a single-gender component to the mix, and voila – you have a setting where boys are excited about coming to school and learning. 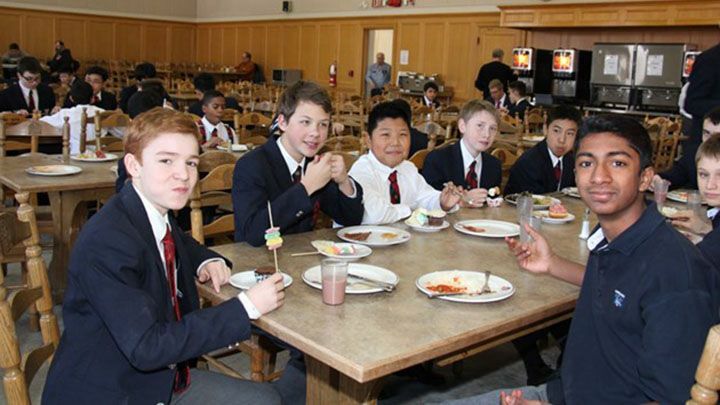 At St. Andrew’s College, an all-boys boarding and day school in York Region, the Middle School resources are allocated, the teachers are chosen, and the programs are developed with only one goal in mind – to meet the educational and developmental needs of young men. Faculty are well-versed in teaching techniques that engage the attention of young boys, such as activity-based learning, humour, group projects, and an element of competition in the classroom, thereby bringing learning to life for their students. Boys who may have been underachieving in their previous schools often unearth a passion for learning that they never knew they possessed. Our faculty attend conferences all over North America. We also host regular guest speakers for our students and parents who reinforce and address the character-building messages and boy-specific issues we are teaching our students throughout the year, including: respect, integrity, community service, cyber-safety, proper nutrition, health and wellness, online safety, and anti-bullying. Naysayers may argue that the curriculum at an all-boys school is basically the same as what a co-educational public school has to offer – so why should a parent absorb the additional expense of sending their son to an independent school? While this may be true to a small extent, the difference in class size and knowledge base of teaching boys is very different. 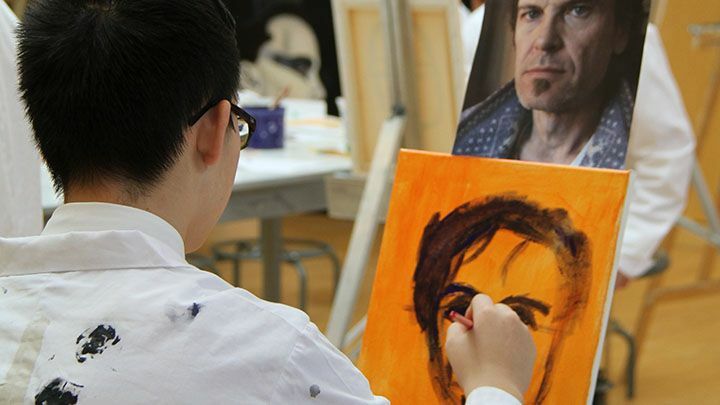 Factor in the additional opportunities to explore the arts, the extensive sports offerings, and the specialist teacher model – then you can understand why parents choose to send their sons to St. Andrew’s starting in grade 5. St. Andrew’s students are taught by teachers who are specialists in their area of study. Students in grade 5 work with a core teacher the majority of the day, and grade 6 students have a core teacher except for when they rotate to art, music, and phys.ed. Grade 7 and 8 students participate in a full rotary program. In addition to the compulsory Athletics program (offering 22 different sports throughout the year), each Middle School boy must participate in the Arts program, where they have an opportunity to explore and discover their individual passions for music, drama, debating, piping or drumming, or visual arts. Our Reach-Ahead Math program lets students earn one grade 9 math credit while being in the Middle School as well as a grade 9 comprehensive arts credit. For more than 40 years, French Immersion schools have been growing in popularity across Canada, and St. Andrew’s offers an Enriched French program that is a viable option for many of our students who come from an immersion setting. This also prepares them for the more challenging Extended French program in Upper School and attainment of a SAC Extended French Certificate in grade 12. Athletics have been viewed as a central part of the educational process at St. Andrew’s since the School was founded in 1899. The compulsory Athletic program offers Middle School boys the benefit of trying out a new sport in all three terms. 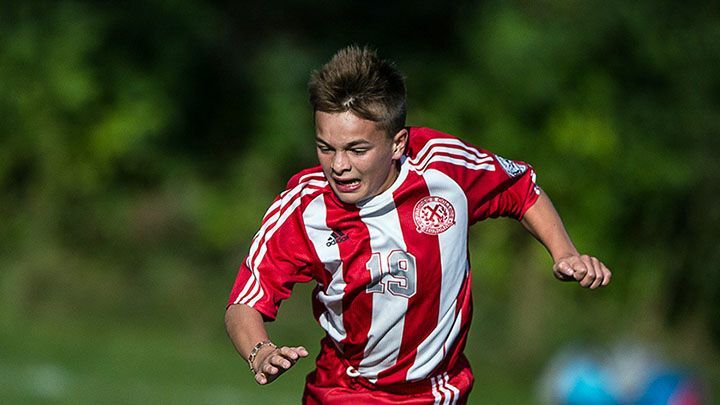 Even a boy who may not be athletically inclined, when offered a choice of up to seven different sports a term across rep and house league teams, can discover the pleasure in realizing he can be part of a team – whether it is the game of soccer he has played for most of his life, or a new sport such as softball, volleyball, or squash. We believe athletics are a huge component of our mission statement, the development of the complete man, the well-rounded citizen. 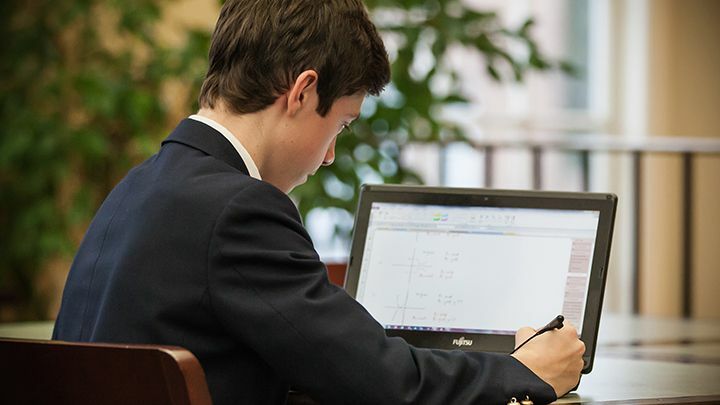 It is here where they are taught the skills and given the tools to think independently and be successful in the Upper School, where they will be confronted with challenges and big decisions on a daily basis. Students who have received this foundation in Middle School are ready to handle almost anything in Upper School. 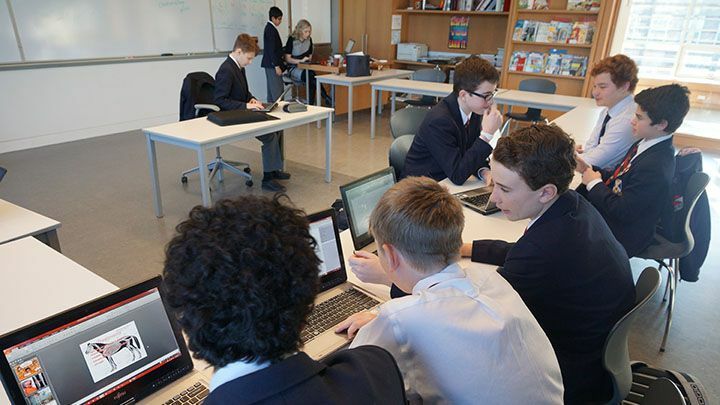 By grade 9, these boys have discovered a love of learning and possess a high degree of confidence in who they are. They transition to Upper School visibly more focused and prepared to make the most out of their high school years. For more information on why a school for boys, click here.